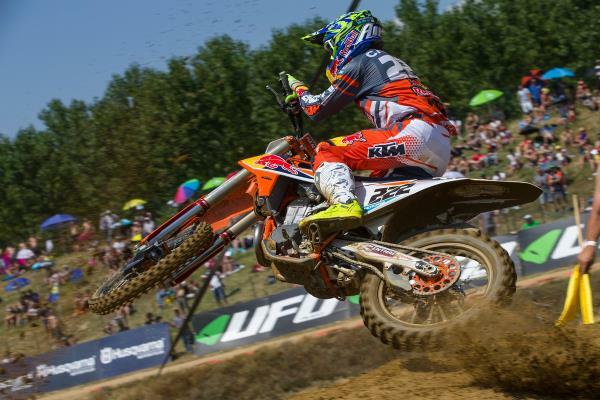 Round eleven of twenty in the 2018 FIM Motocross World Championship saw Antonio Cairoli rule the sand at Ottobiano for a second win of the season. 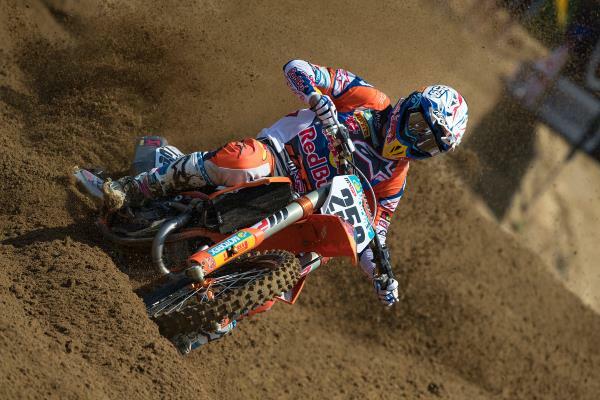 Jorge Prado reigned for the fifth time in the MX2 class. The second phase of the 2018 MXGP campaign began with the Grand Prix of Lombardia and the third event in three weeks after trips to Great Britain and France. For the ninth time this year Red Bull KTM owned both MXGP and MX2 classes with the KTM 450 SX-F and KTM 250 SX-F. Ottobiano presented a rough, sandy and fast prospect. Tony Cairoli had a tough Saturday when a fall on the first lap of the Qualification Heat prompted a hard charge back to 7th. Determined to avoid similar misfortune, #222 made two decent starts on Sunday. He controlled the first moto from the opening corner until the flag and then recovered from a brief tumble to defeat Tim Gajser in the second race. It was the World Champion’s second success and second ‘1-1’ in 2018 and allowed a maximum gain of 50 points. Cairoli repeated his triumph from Ottobiano in 2017. Glenn Coldenhoff classified 9th overall with 9-11 in what is usually strong terrain for the Dutchman. #259 suffered with set-up and could not find his flow on the terrain. MXGP World Championship leader Jeffrey Herlings missed the Grand Prix due to corrective surgery on his right collarbone last Wednesday. The Dutchman picked up the injury while training but is hopeful of being fit and ready to race for round twelve in Asia in two weeks time. 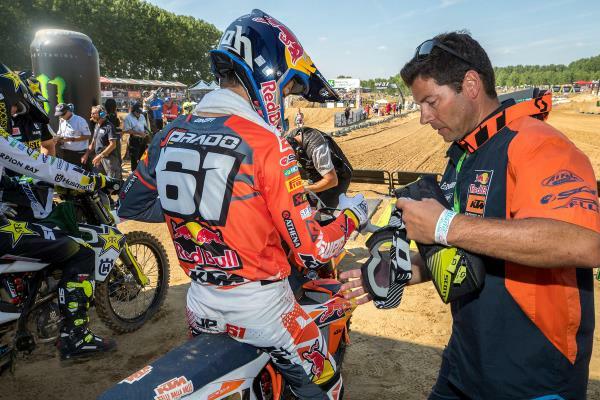 Herlings still fronts the standings by 12 points from Cairoli and Coldenhoff is 7th in the list. 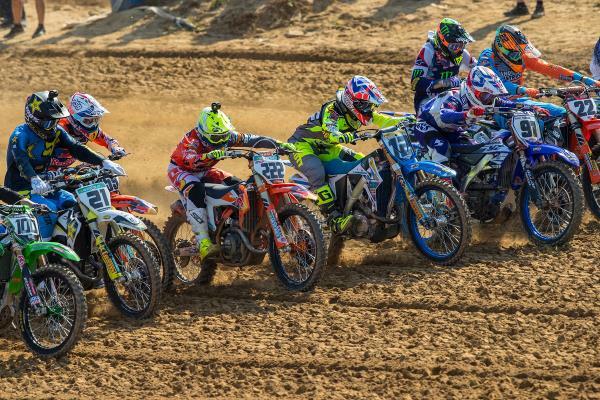 Pauls Jonass and Jorge Prado had appeared on five of ten MX2 Grand Prix podiums together prior to the eleventh outing for the class at Ottobiano. That statistic rose to six in the sand. Prado levelled with the world champion on five overall wins and has now posted three victories from the last four races to enforce his fierce run of form. Both Red Bull KTM riders had to follow Thomas Covington in the first moto but serial holeshotter Prado decided to set the pace in the second. The Spaniard demonstrated the degree of his progress. Twelve months earlier the teenager could not withstand the Italian summer heat and on this occasion was almost uncatchable. With a 2-1 Prado achieved his ninth podium appearance. Jonass went 3-3 for 3rd overall (his eighth trophy of 2018). The gap between the pair at the top of the MX2 table is now just 9 points in Jonass’ favour. MXGP heads overseas and for a double Asian stop with rounds twelve and thirteen taking place on back-to-back weekends in Indonesia. Pangkal Pinang – that entered the world championship for the first time in 2017 – will play host again on July 1st.